Covering more than 67,000 acres, Lake Winnibigoshish or Big Winnie as it's more commonly known, is the fifth largest lake in Minnesota. 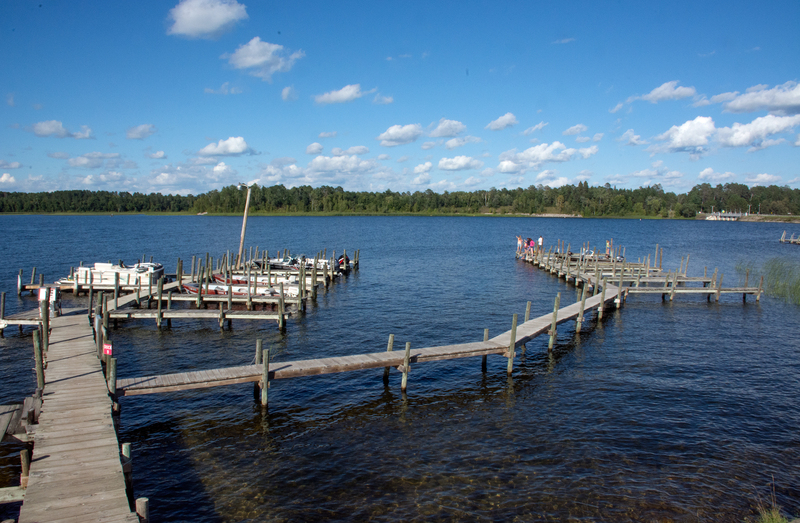 Lake Winnie has an average depth of 15 feet and a maximum depth of 78 feet. It is surrounded by 141 miles of scenic unspoiled shoreline - a mixture of pines and hardwood forests and gently rolling hills. Lake Winnibigoshish was created when the Lake Winnie Dam was built on the Mississippi River in 1884. In turn, two more lakes were created as well - Cut Foot Sioux and Little Winnie. The Mississippi River channel runs through the middle of Lake Winnibigoshish. Just as game fish thrive beneath the lakes' sprawling blue surface, wildlife abounds on its shores. Deer, fox, loons, grouse, ducks and bear are just some of the animals that share the wooded habitat of the Chippewa National Forest, surrounding Lake Winnie. The forest is a nature lover's paradise, offering ample opportunities for hikers, photographers and naturalists alike.